Set up ans send a one-shot signal on certain specific date. It could be useful as a reminder of some important event. It could be a visit to a doctor, reminder to send birthday congratulations to somebody, or task to send a email to somebody on behalf of you at some particular date. After triggering, this signal will be deleted. To set it to another date, you will need to create another signal of this type. Click on the create signal button. Give the name of the signal , e.g. - "reminder to send birthday". Select the type of alarm signal you want to create – "when the date is". Enter the required data - select the day when you want to receive a notification. 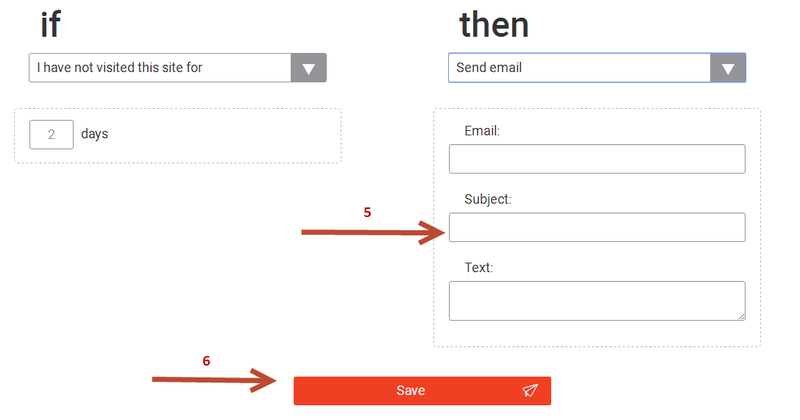 Fill in the reminder box: email address where the reminder will come; subject and the message. Next to the signals, there will be a "check mark" - this means the signal is activated. By removing the "tick" you can deactivate the signal.